A few weeks ago, Shelley got us tickets to go see the Avett Brothers at Track 29 here in Chattanooga. I discovered the Avett Brothers two or three years back, and had actually them introduced them to her. She’s a folkie through and through when it comes to music. For some reason, I’ve never taken to the Avett Brothers in the way that I expected to, but Shelley’s been off the rails for them–and the concert only served to inflame her passion. In fact, she became so excited about them that she actually told me that she’d like for me to start playing the guitar again (singing, not so much), but guitar, yes. Now, I’d been in a band (One Shoe Untied) with my brother and a few other amigos up until this past year when I finally got my chance to work full-time at being a writer and running C&R Press. Being in a band, too? That wasn’t going to cut it. I understood. Plus, the band, as bands are 99.9% of the time, was trouble. I hadn’t played a lick in nearly a year when Shelley said, “I think you should start playing the guitar again.” My wife was actually telling me to play the guitar, not just tolerating it? She’s also started practicing the piano again herself and is working on John Lennon’s “Imagine.” I decided I better go ahead and see how I felt about this myself. I tuned up my guitars and started remembering all I’ve forgotten over the past year. Then, voila, as if in synchronicity the bi-monthly issue of my American Songwriter magazine came in the mail, and it was none other than a tribute to Bob Dylan, celebrating his 70th birthday. In fact, you can check out their site and see that even as we speak they’re celebrating 30 days of Dylan. Funny, but the opening of one of the Dylan articles begins with the latest Grammies in which Mumford and Sons and The Avett Brothers opened for Dylan as a kind of “passing of the torch” to the new generation of folk-inspired songwriting. According to the article, Dylan performed an enigmatic rendition of “Maggie’s Farm” which was as much to suggest the extended reaches of the possibilities of creative performance as anything else. It contrasted quite a bit with the earnest, conservative approaches of the former bands, and the writer suggests that Dylan was playing “keep away with the torch” more than he was passing it on. 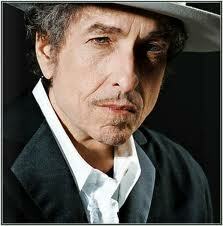 Bob Dylan is an invention. That’s important to remember. 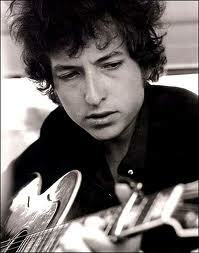 That persona is as much or more a work of art as his songs are. I saw him a few years ago. I remember standing with the soundman when a fan came running back at him and started screaming “Fix this! What’s he doing? I paid so much money! Fix it!” before storming out. The rest of the crowd was on their feet loving it. The person Bob Dylan is still dividing crowds 50 years later. No small feat. I have no idea what Robert Zimmerman is like but one thing is for sure, he is an inventor on the ranks for DaVinci and Tesla, and a visionary on the ranks of Steve Jobs and Walt Disney. Can’t imagine our world without him. It’d be a completely different place. The complete Paul Zollo Interview, which took place in 1991, was published in this latest American Songwriter issue and it does offer some insight into Dylan’s ever-mysterious processes, as well as some interesting opinions about who the really great songwriters are. He says things like Hank Williams is probably the greatest songwriter ever (and then concedes that it may be a tie with Woodie Guthrie, both of whom he then asserts were performers and not just songwriters). He says there are more than enough songs to go around for the rest of time, that the world doesn’t need any more songs. So, how is this inspiring? Well, besides what’s already been mentioned, for me it starts with sheer endurance. Here’s another example (see Woody Allen below) of a guy who, despite a large set of very real limitations is, well, legendary. He’s basically a poet who puts his music to simple melodies, and his voice…ah yes his voice. Well, let’s say this. Of course, it’s rough and grizzled and occasionally incomprehensible these days. But for whatever you want to say about his tone (or lack thereof), the dude hasn’t been doing this for 5 decades running because he can’t hold a note. He can, and he does. Take it from one who knows THAT part of the singing limitation blues.